Buying clothes online can, at the same time, be the most convenient thing ever and the most frustrating. One retailer’s “large” might be another’s “medium,” or your wishful thinking about fitting into those slim-fit jeans comes crashing down when the package arrives and you find they’d be more suited for your teenage son. San Mateo, California-based software developer Fit3D’s recently announced BodyBlock AI “fit prediction” platform aims to help clothing retailers take the guesswork out of selecting clothes that fit properly. How? 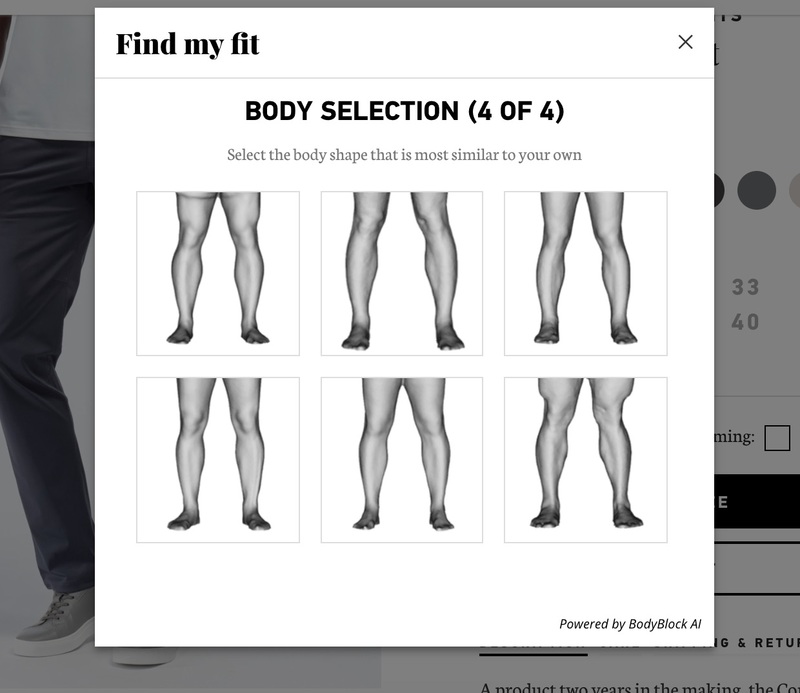 Using machine learning and what the company says is the world’s largest database of 3D body scans, the BodyBlock Predict size finder widget can be implemented into a clothing retailer’s online store, allowing shoppers to go beyond their height, gender, weight and age (info customers enter in to the widget) to find their perfect size. From that basic info, customers then further select from several rendered 3D-scanned “avatars” from BodyBlock’s database of nearly 1 million body scans, to help them choose the body type closest to theirs. The tool then uses the info to predict and recommend the best-matched fit from the retailer’s inventory. The purchase is completed and, hopefully, when the clothing arrives they fit like a proverbial glove. According to apparel and textile industry website Apparel Resources, poor fit costs the industry billions of dollars in lost revenue each year. Companies are losing money because they often have difficulties understanding the “gap between their target customer ‘persona’ and their target customer’s ‘body shape,’” preventing them from designing clothes that accurately fit their customer’s body types. The result can amount to wasted materials and other operational losses, not to mention the costs associated with online retailers covering outbound and inbound shipping on ill-fitting items being returned. While the tool is easy to use, it remains to be seen if it will actually deliver results with real-world customer use. You can check it out in use at online clothing retailer Rhone’s website and see for yourself. Additionally, brands installing the widget on their sites also get the benefit of having access to body measurement insights from data collected when customers visit – brands can see the height, weight, bust, waist, hip, inseam and other measurements of visitors.